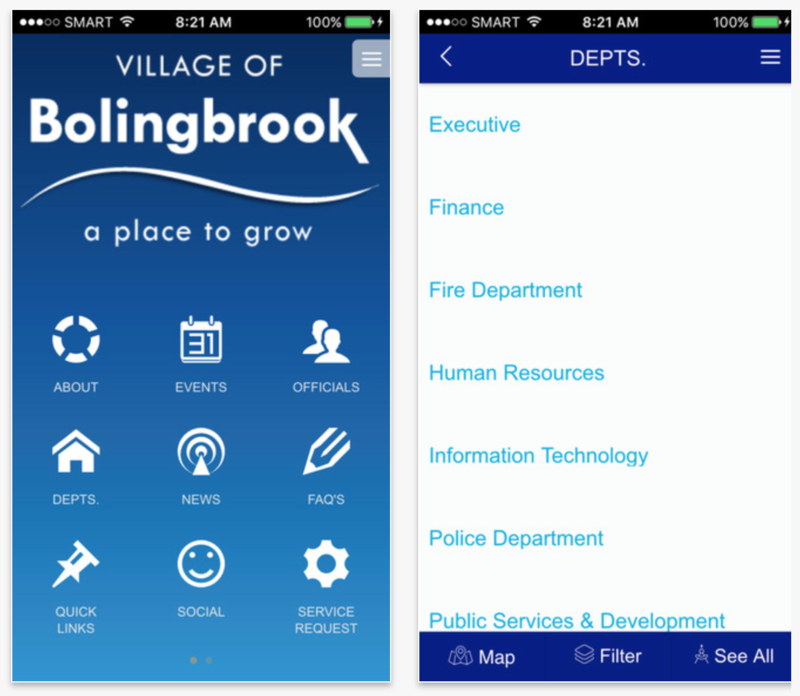 The Village of Bolingbrook Smartphone App provides a variety of community resources, including Village government information, community calendar and announcements, and resident information. 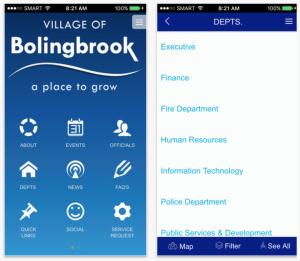 Additionally, the app allows residents to send in service requests reporting issues – i.e. street light out – directly to the Village. Coming soon to iTunes and Google play!